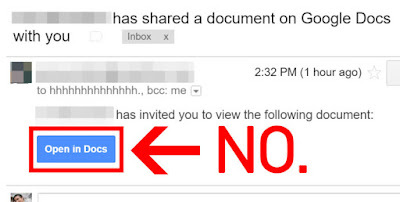 A number of users today have received a phishing email claiming to be an invite for Google Docs. 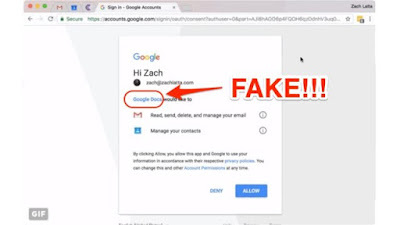 This scam is particularly effective as it comes from a known contact who’s had their account hijacked, with the app attempting to send more phishing emails using your Gmail account. 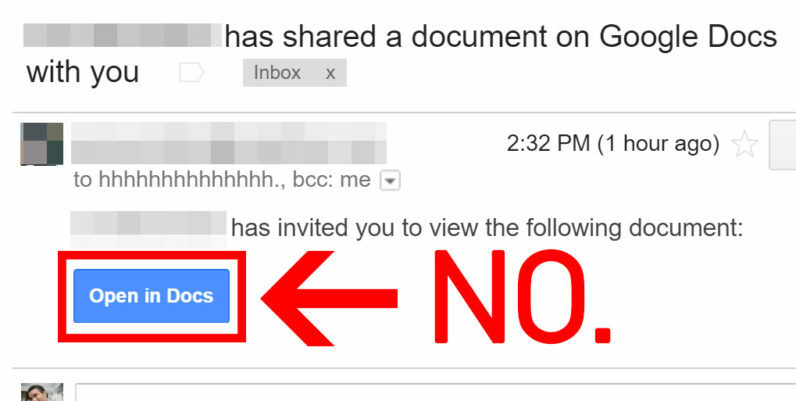 The phishing email is modeled after the actual Docs “Invite to request” message, but is slightly different. Tapping the “Open in Docs” link takes users to the official Google dialogue box for granting third-party apps access to your account. Those who grant it access will result in the app sending more phishing emails to your contacts. For those who have already granted the app access, quickly head to Google’s apps permission page and find the one named “Google Docs” and press revoke. It appears that Gmail’s phishing filters are already marking the message as malicious, with the official Twitter account advising users to not click on the email. Update 3:41 PM: In a statement, Google notes that it has “disabled offending accounts” and implemented other security measures to protect users. We have taken action to protect users against an email impersonating Google Docs, and have disabled offending accounts. We’ve removed the fake pages, pushed updates through Safe Browsing, and our abuse team is working to prevent this kind of spoofing from happening again. We encourage users to report phishing emails in Gmail.